Reuters, LONDON, March 14 (Fitch) Fitch Ratings has affirmed Malta's Long-term foreign and local currency Issuer Default Rating (IDRs) at 'A'. The Outlooks are Stable. The issue ratings on Malta's unsecured foreign and local currency bonds have also been affirmed at 'A'. The agency has also affirmed Malta's Short-term foreign-currency IDR at 'F1' and the Country Ceiling at 'AAA'. KEY RATING DRIVERS The affirmation and the Stable Outlook reflect the following key rating drivers: The Maltese economy is on the road to recovery. In 2013 the economy grew by 2.4%, better than 2012 (0.9%) and higher than the eurozone average (negative 0.4%), but still some way short of the 'A' median of 3.3% over five years. 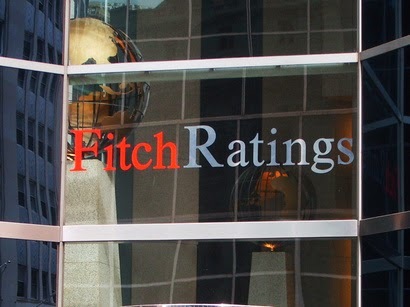 Fitch expects Malta's GDP growth to continue outperforming the eurozone average in 2014-15. At 6.5% the unemployment rate is in line with the 'A' median and well below the eurozone average, while the employment rate has risen, underpinned by the increasing female labour market participation rate. Public finances remain a sovereign...read on.